Trying to reach the top of search results can be difficult for many small and large websites, and as a result it is not uncommon for webmasters to use various spam tactics in order to “optimize” their websites. For quite some time, Google has been cracking down on SEO spammers and in doing so it has even ruined many sites. Rap Genius is the latest site to end up on Google’s spam list after it used these spam techniques to raise its rankings in a way that went against the search engine’s wishes. 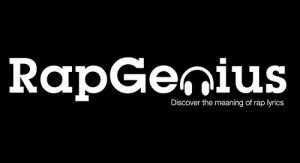 Rap Genius has developed into one of the most popular song lyrics websites and although it started by analyzing rap lyrics, it has grown to accept most genres. Since song lyrics are obviously something that a lot of people look up, ranking high in the search results in important for a massive site like Rap Genius. Unfortunately, Rap Genius chose to not just rely on its popularity in order to receive traffic and instead, it branched out into territory that Google simply does not like. Google is going after Rap Genius specifically because it chose to ask for links from high-ranking blogs in order to bring up its own rankings for various songs. Rap Genius’s Mahbod Moghadam sent out emails to people interested in the site’s offer to help blogs attain more traffic with the only catch being that the blog include links to Rap Genius’s pages, which would in turn allow the site to rank higher when someone looked up lyrics in Google Search. There are a plethora of websites that have either attempted to gain traffic or have even grown into popular sites as a result of these techniques which is why Google is using Rap Genius as an example of how these techniques can end up hurting a profitable business. Rap Genius previously ranked on the first page for numerous songs but in many of those searches, the site is now pushed back to the fifth page and sometimes farther. Of course, the site is popular enough that not all of its traffic is coming from search results but at the same time, being caught red-handed by Google is far from a good thing.